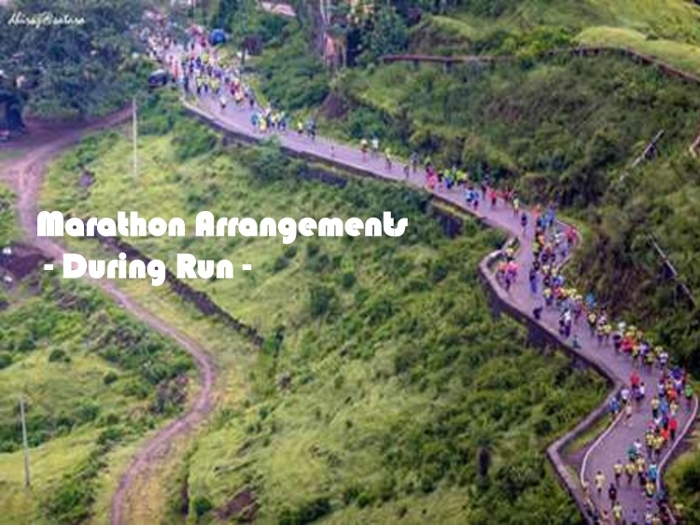 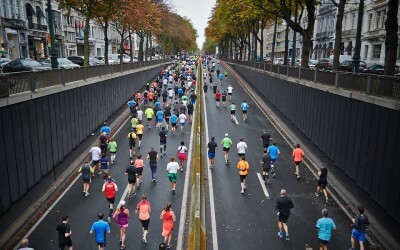 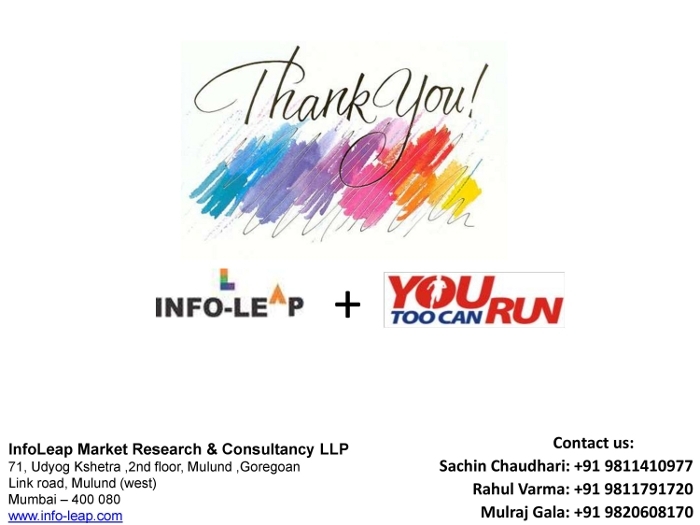 For YouTooCanRun it is not just about providing registrations services to the event organizers but giving them a complete packaged support for organizing their races across the country. 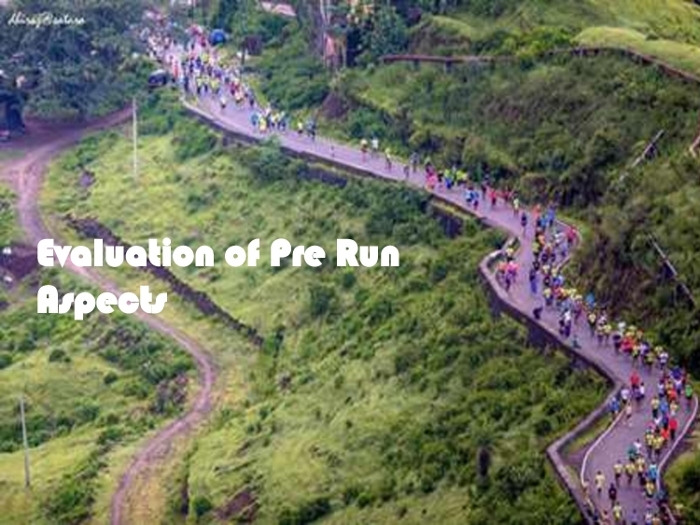 The most integral part of any race are the runners who participate, and it is important to have a record of their views about how the event was conducted and how the future races can be bettered, after all it is all about the runners experience. 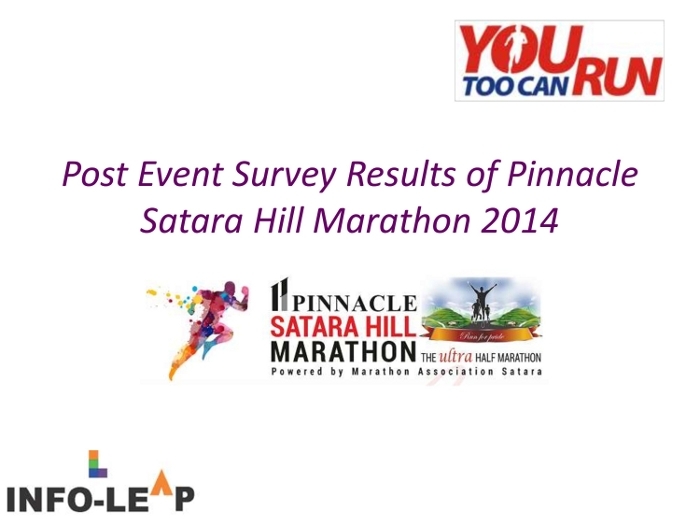 For this reason YouTooCanRun conducts Post Race Surveys for it’s event organizers. 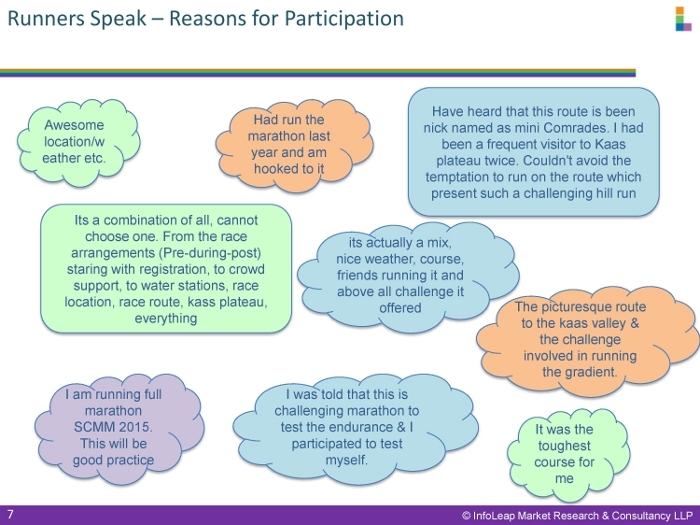 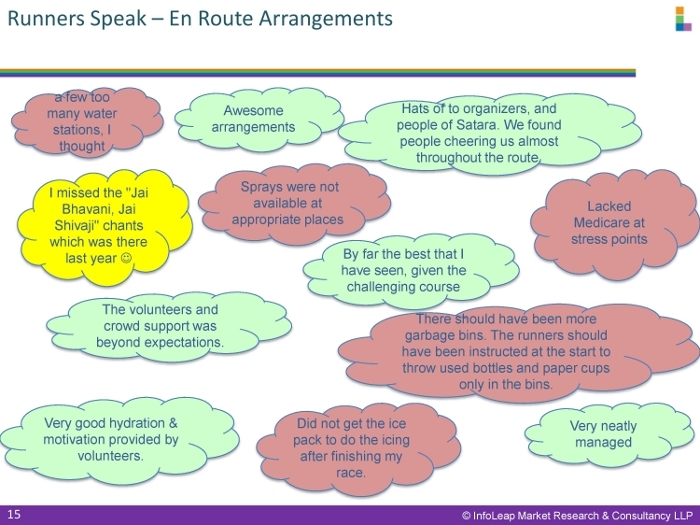 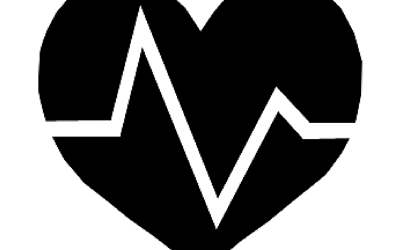 These are questionnaire surveys asking the runners about their experiences of different aspects of the race: from the registration process to communications and the different event arrangements. 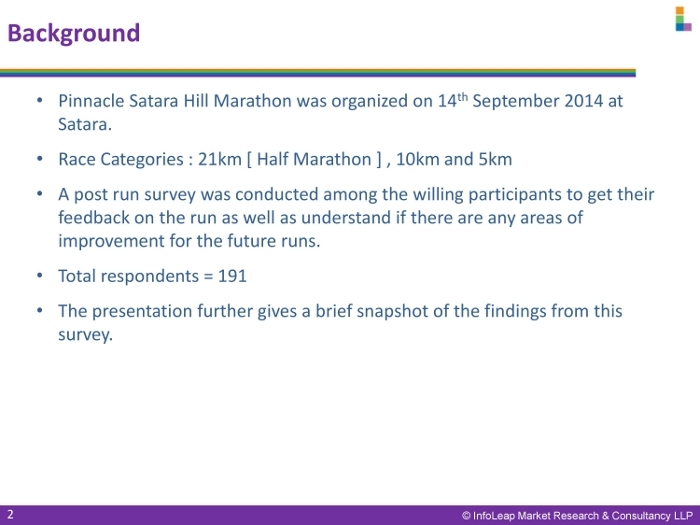 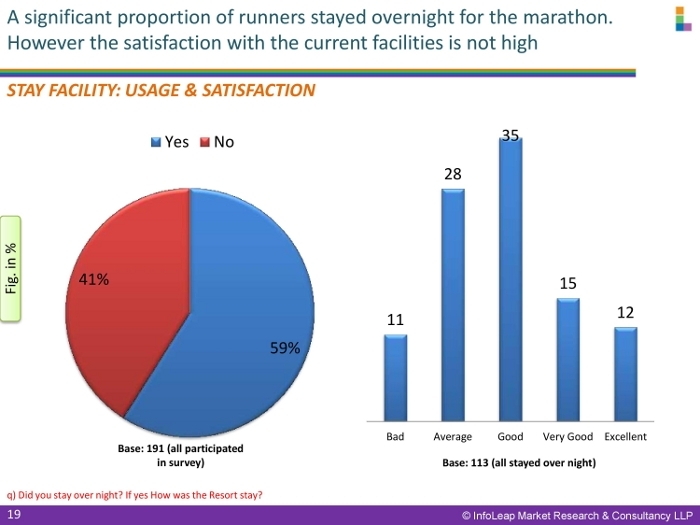 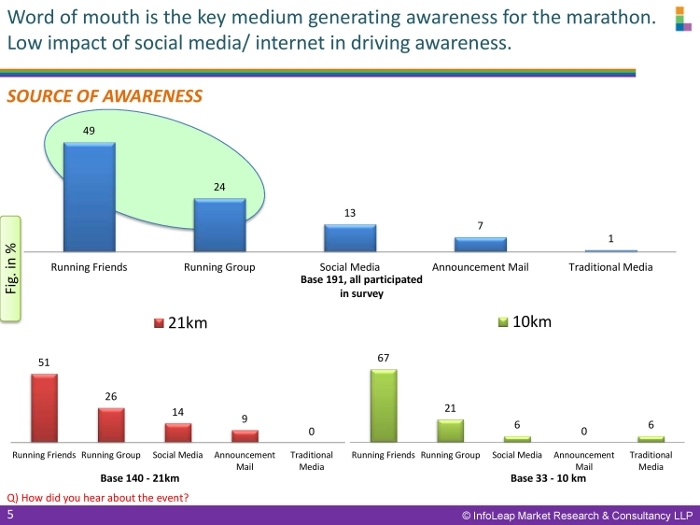 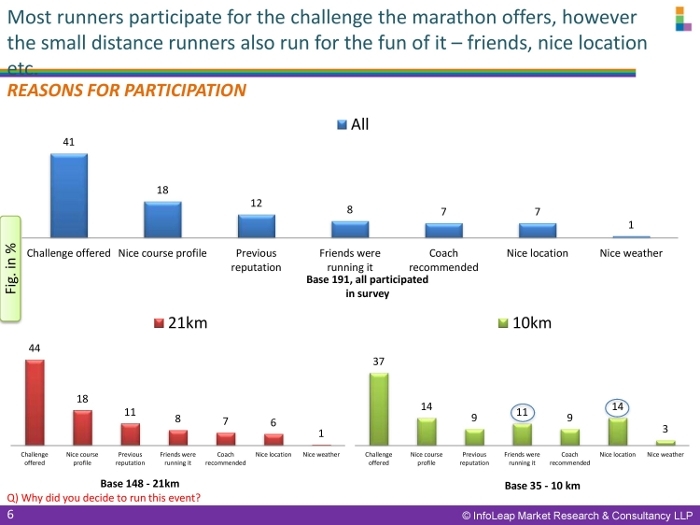 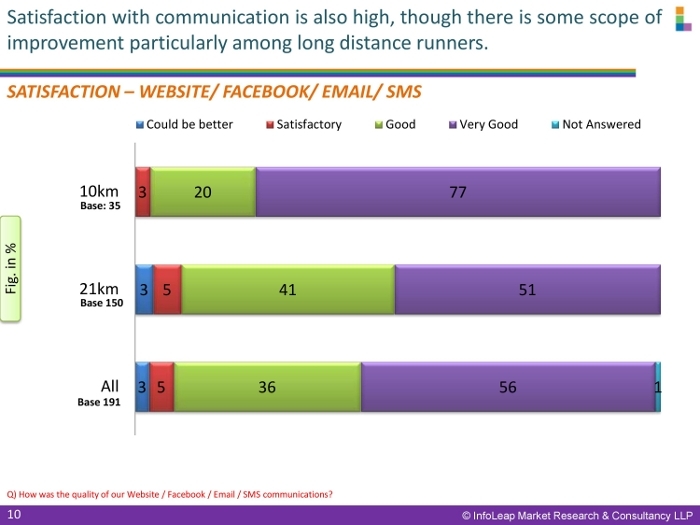 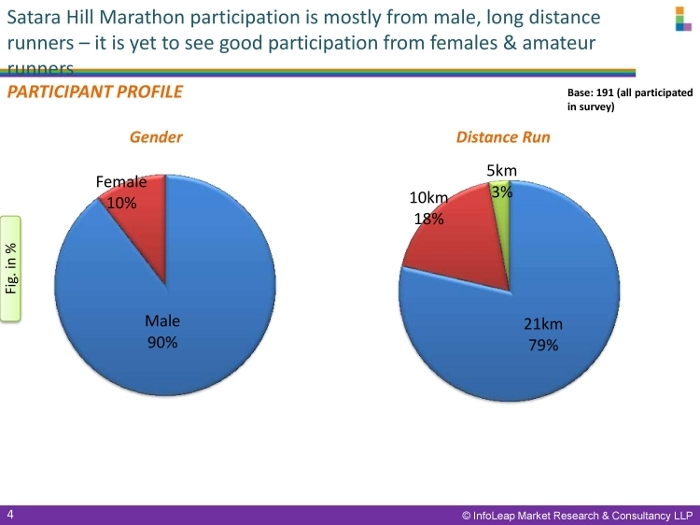 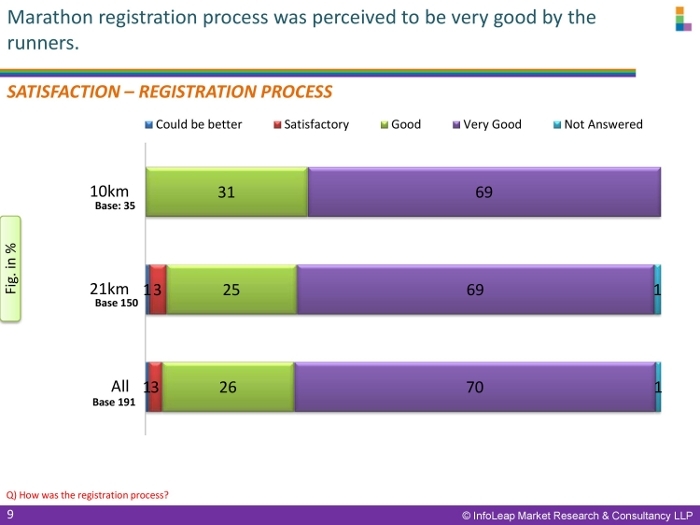 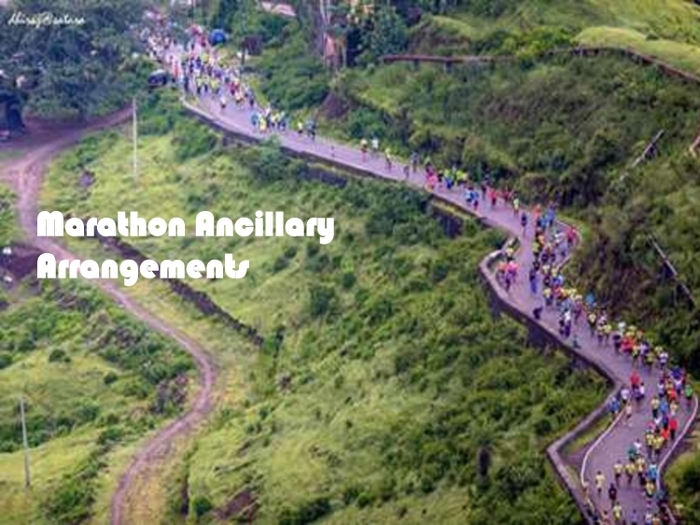 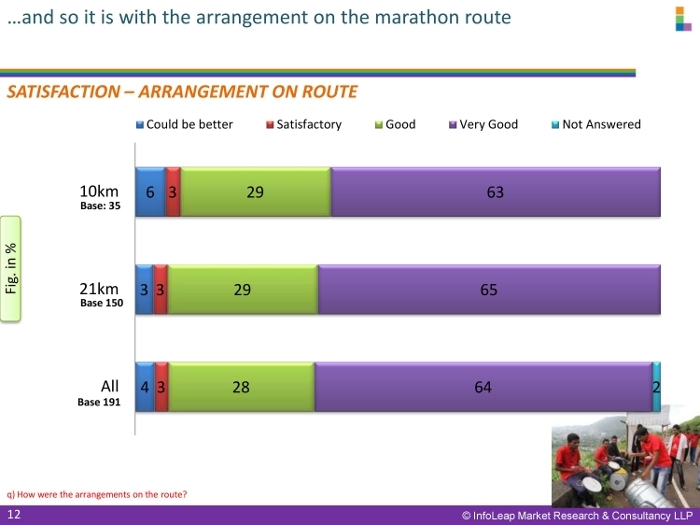 We had conducted a similar Post Race Survey for Satara Hill Marathon 2014 and the survey was answered by 191 participants and the results are shown in the slide below. 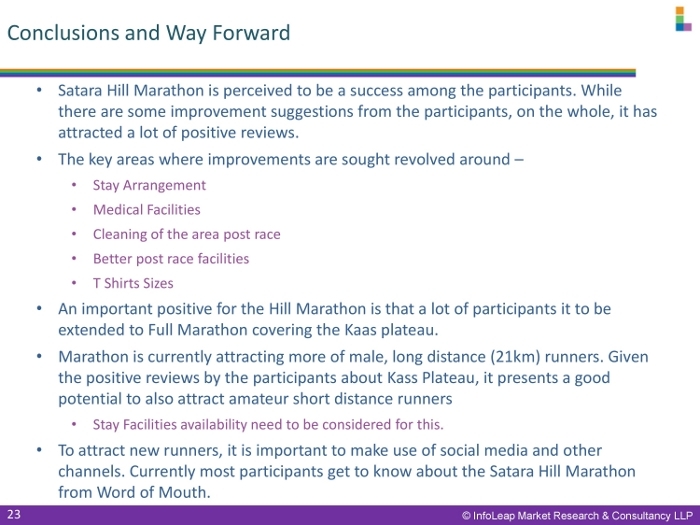 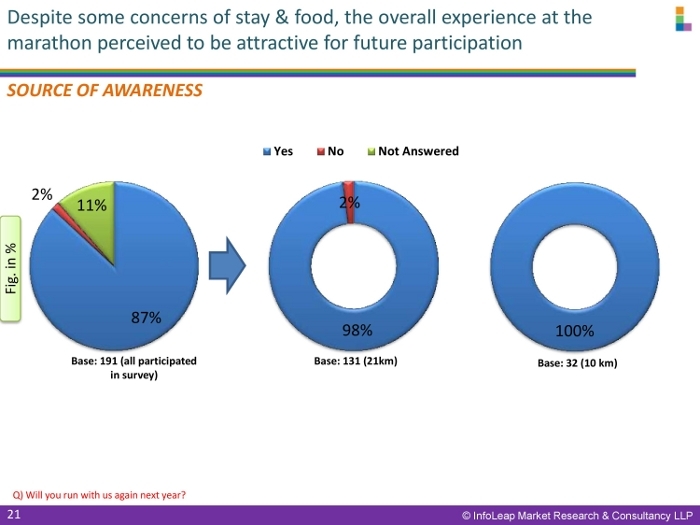 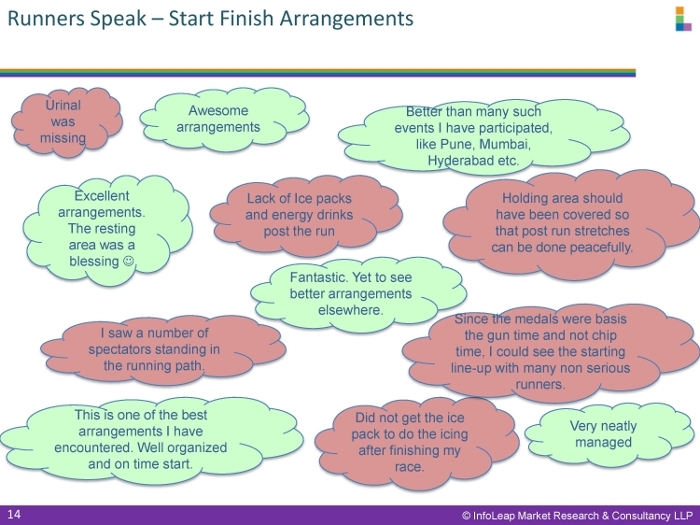 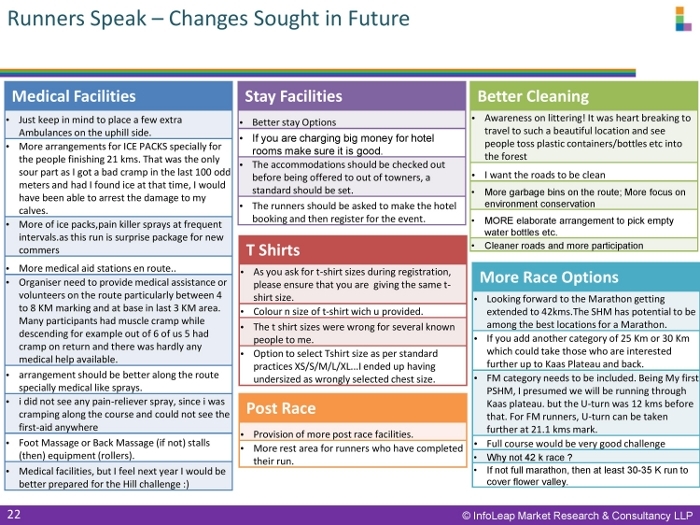 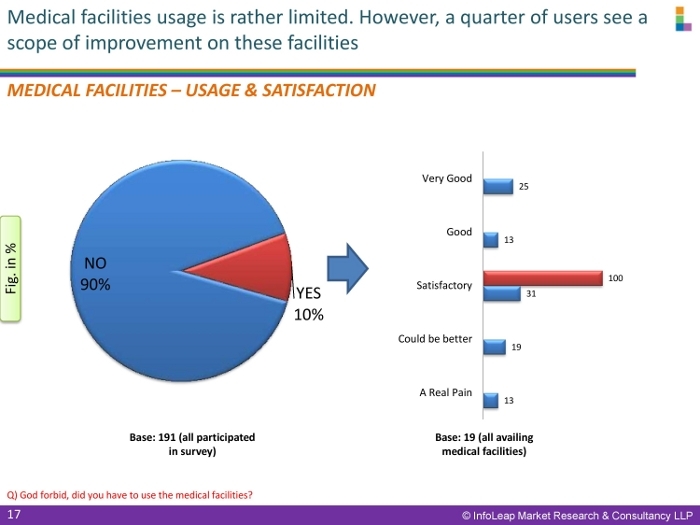 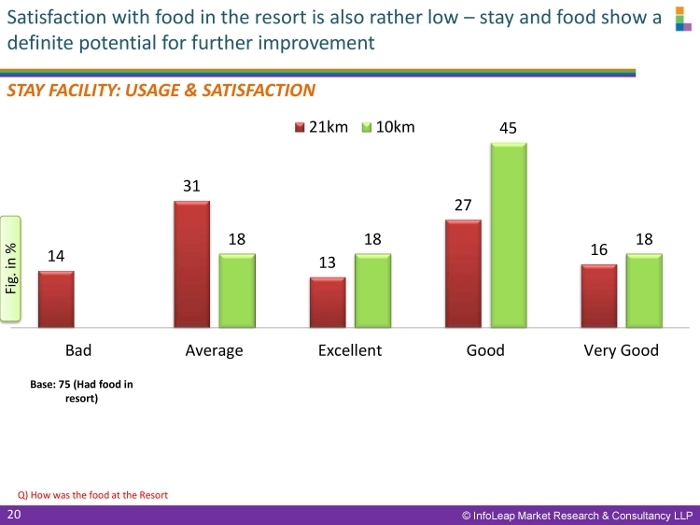 The Post Race Survey Results are given to InfoLeap for analysis and later on the analysed survey is shared with the event organizers which helps them to assess and improve the next year’s event.